It’s Friday! Enough said. I’m excited for all of the projects I have to work on this weekend. We are hoping to finally get the kitchen finished so we can share next week. The only thing left to do is paint the cabinets! 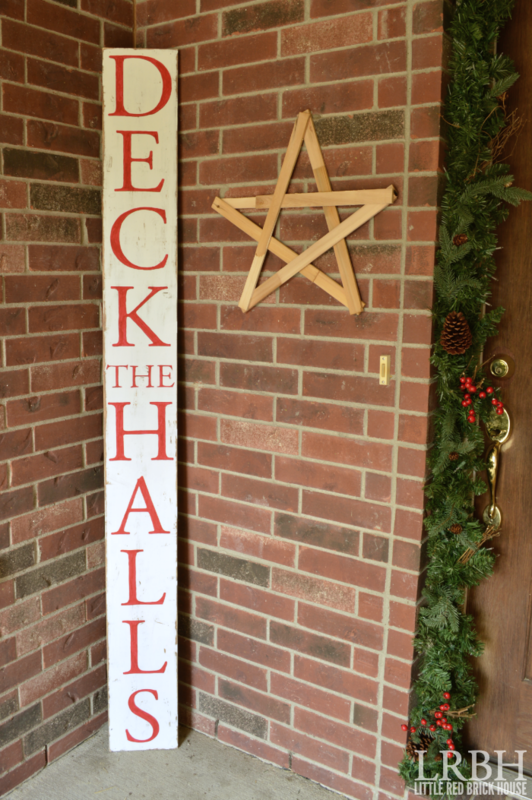 I wanted to share my DIY “Deck the Halls” sign with you today. It was easy to whip up and is a fun addition to display this season. I first shared it on Made to be a Momma but I wanted to post it here in case any of my new readers missed it. 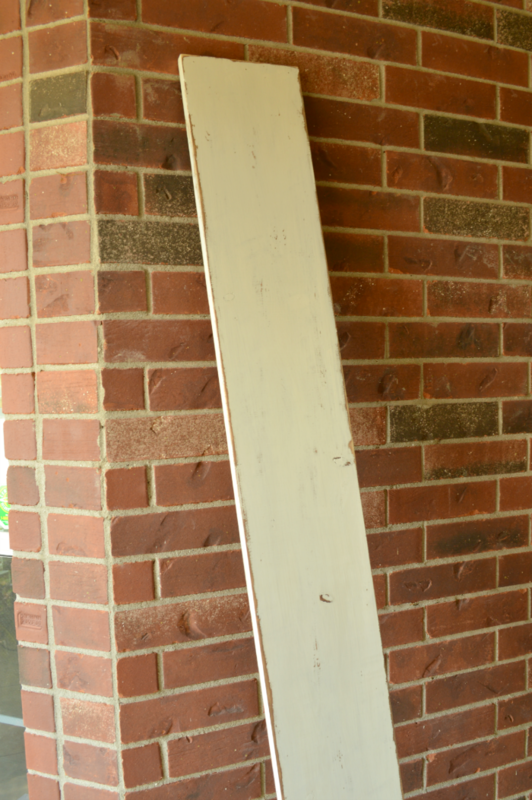 First, I grabbed a 6 ft. 1×12 wood board from my scrap wood pile. 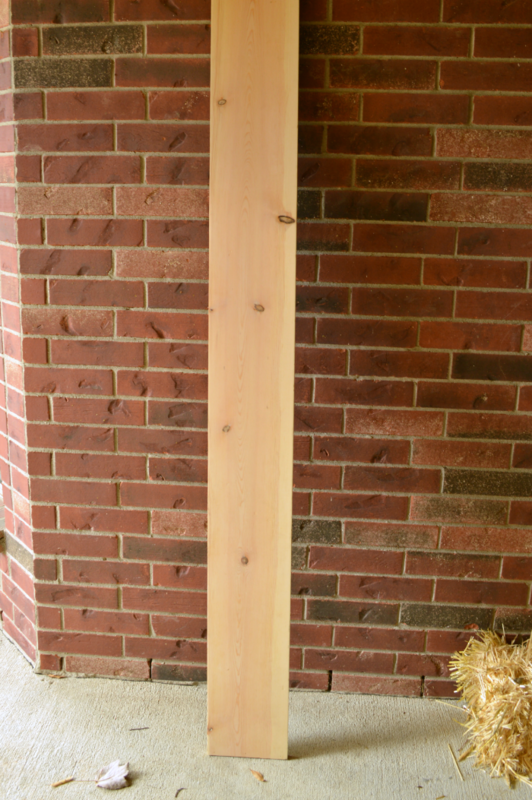 You can pick one of these up at your local hardware store if you don’t have a stash of scrap wood like me. 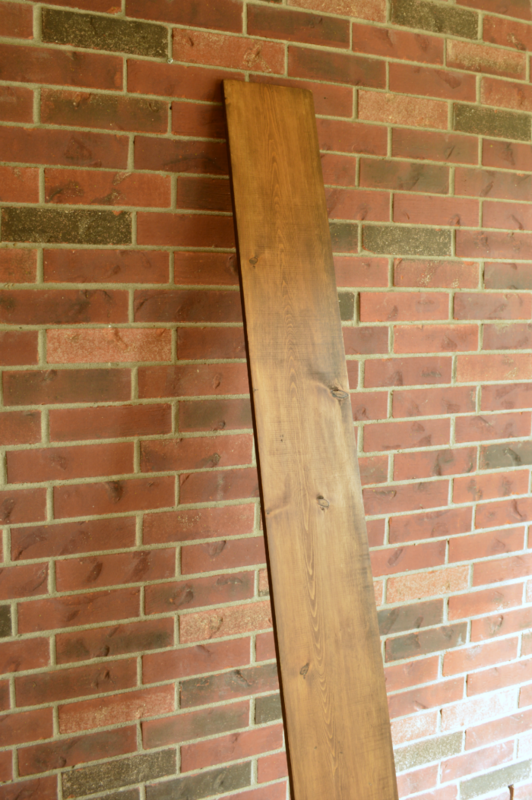 Then I stained it in my favorite shade of stain, Dark Walnut from Rustoleum. After the stain dried I painted over it with some white paint. 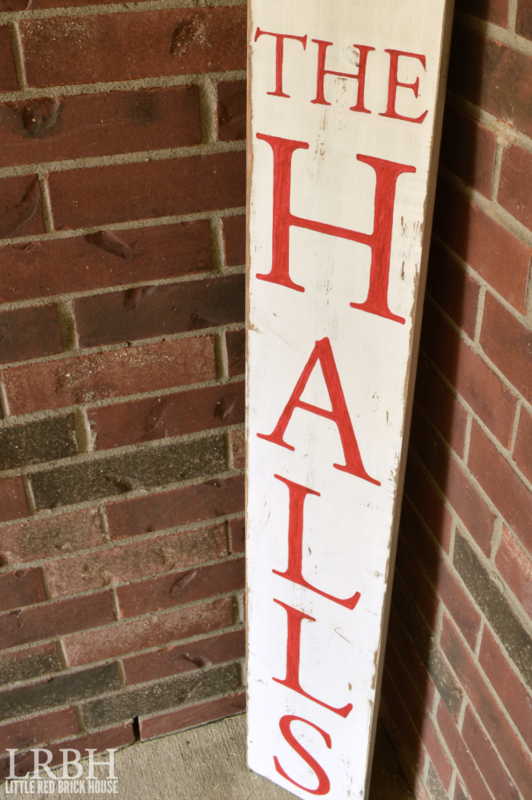 I let that dry and distressed the edges and a few random areas with my sander to give it that rustic, old timey look. The tricky part was figuring out how to get the letter onto the board. 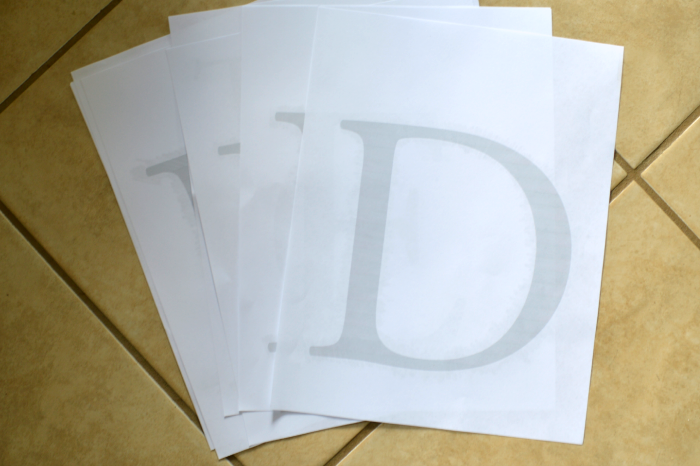 I ended up printing out each letter individually onto a piece of paper. The font I used is Adobe Garamond. 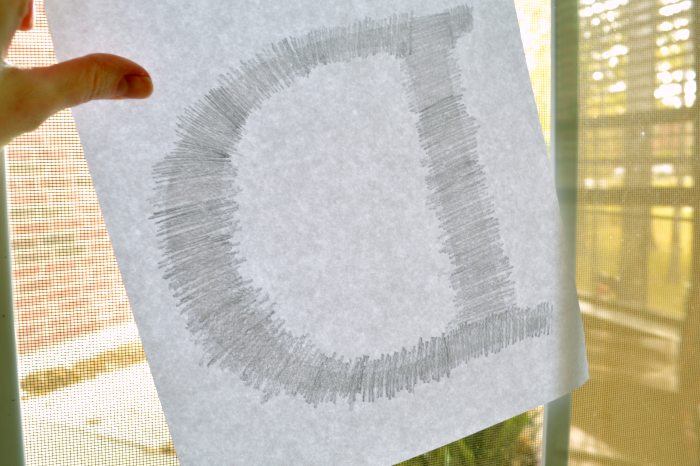 On the backside of the paper, I scribbled over the outline of the letters with a pencil. Holding it up to the window made it easier to see the letter through the paper. 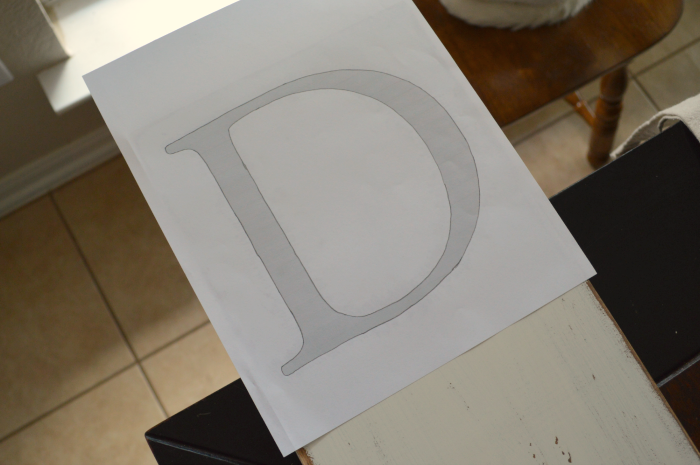 Then I flipped over the printout, placed it on my board and traced over the outline of the letters. The scribbled pencil on the back of the paper transferred onto the board. 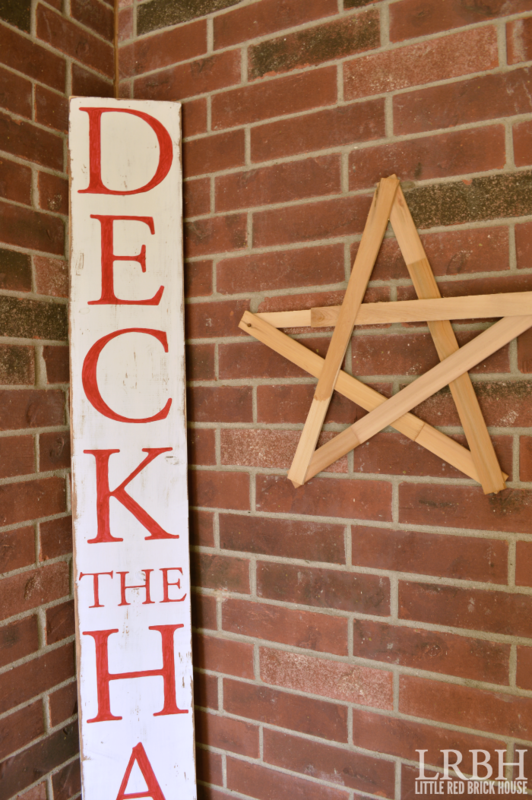 I used the outline of the letters as my guide and filled them in with DecoArt Americana Chalky Finish Paint in the color Romance. I love the distressed look and the pop of red. It fits perfectly with my color scheme this year! Love it! Simple and fun!